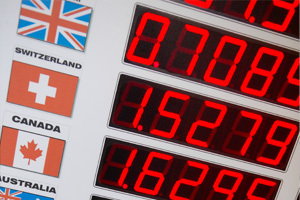 Premier Focus Translations invoices are issued in one of three currencies: CAD, USD and EUR. The currency is shown on the front of the invoice. Each currency has its own set of payment options, which are shown below. Cash: Do not mail cash. It must be received in person. Cheque: Make your cheque payable to “Premier Focus”, include the invoice number in the memo field and mail it to us. PayPal: Make all PayPal payments to Info@PremierFocusTranslations.com. Cheque Make your cheque payable to “Premier Focus”, include the invoice number in the memo field and mail it to the us. Bank: Städtische Sparkasse Offenbach a.M.
Make your cheque payable to “Premier Focus”, include the invoice number in the memo field and mail it to us. For services that require a downpayment, Premier Focus Translations must receive your payment prior to the onset of your project. Larger projects may be eligible for multiple payments. To qualify, this must be negotiated before the beginning of the project. The individual payment dates and amounts will be shown on the invoice. Late payments, expirations, chargebacks and disputes are subject to fines, suspensions and account terminations at Premier Focus Translations’ discretion. All unpaid balances incurred by Premier Focus are subject to collection. Premier Focus charges a CAD $25.00 fee for returned cheques as well as chargebacks.